The Fourth Book in the Colin Pearce series is out! This giveaway is for a signed hardback copy of the book. Like the other books in the Colin Pearce series by Chris Broyhill, this book promises to be a wild ride for lovers of thrillers. Click Here to learn more about the book. But if you’re feeling lucky, sign up below and you might win a free signed first edition hardback. The Giveaway Entry Period Runs Thursday, September 7, 2017 through Friday, September 15, 2017. 1. Promotion Description: The ‘The Shadow Contract – Signed by the Author’ (“Sweepstakes”) begins on 08/28/2017 at 12:00 AM (Eastern Time (US & Canada)) and ends on 09/04/2017 at 08:00 AM (Eastern Time (US & Canada)) (the “Promotion Period”). By participating in the Sweepstakes, each entrant unconditionally accepts and agrees to comply with and abide by these Official Rules and the decisions of Chris Broyhill Books (“Sponsor”), which shall be final and binding in all respects. Sponsor is responsible for the collection, submission or processing of Entries and the overall administration of the giveaway. Entrants should look solely to Sponsor with any questions, comments or problems related to the Sweepstakes. 2. Eligibility: Open to legal residents of United States who are 18 or older. Void where prohibited or restricted by law. Sponsor and their respective parents, subsidiaries, affiliates, distributors, retailers, sales representatives, advertising and promotion agencies and each of their respective officers, directors and employees (collectively, the “Promotion Entities”), and members of their immediate families and/or persons living in the same household as such persons, are ineligible to enter the Sweepstakes or win a prize. 5. Online Entry: Enter the Sweepstakes during the Promotion Period online by signing into the entry form and perform the tasks provided. The entry form can be found on the following website at https://chrisbroyhillbooks.com/giveaways/. 8. 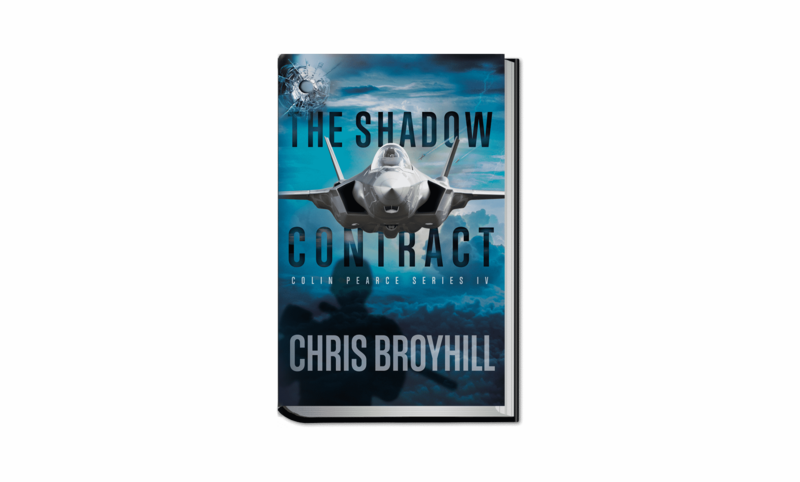 Winner’s List: To obtain a copy of any legally required winners list or a copy of the Official Rules, send the applicable request and a self-addresses, stamped, #10 envelope to Chris Broyhill Books cc: The Shadow Contract – Signed by the Author at 721 Stuarts Drive, St. Charles, IL 60174 USA. Request must be received no later than 48 hours + 6 MONTHS for the name of the winner and, by the end of the promotion, for a copy of the rules. Awesome book, and I really enjoy spending my time reading them. It’s a great series so hopefully it continues for many more books.